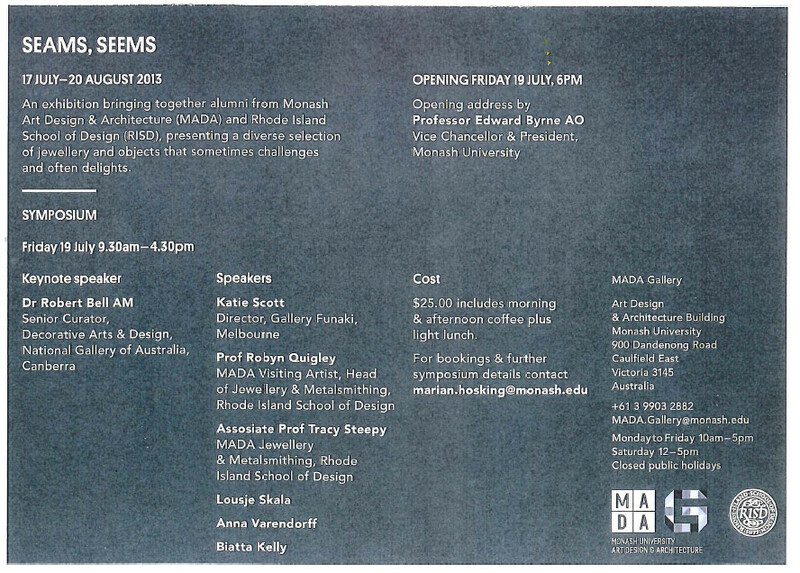 This Friday 19 July Monash University is hosting the Seams, Seems Symposium in association with the Rhode Island School of Design (RISD). 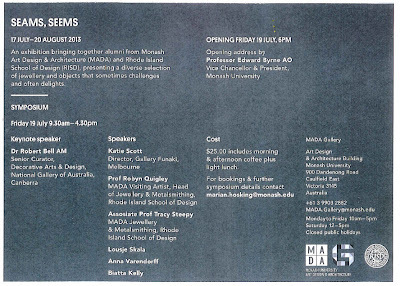 Speakers include Dr Robert Bell, Senior Curator of Decorative Arts & Design, National Gallery of Australia; Visiting Artist Professor Robyn Quigley, Head of Jewellery & Metalsmithing at RISD; Visiting Artist Associate Professor Tracy Steepy, Jewellery & Metalsmithing at RISD; Katie Scott, Director of Gallery Funaki, and more. Symposium registration is $25 including lunch, morning and afternoon tea. The exhibition Seams | Seems is on at MADA (Monash Art & Design) Gallery from 17 July - 20 August. 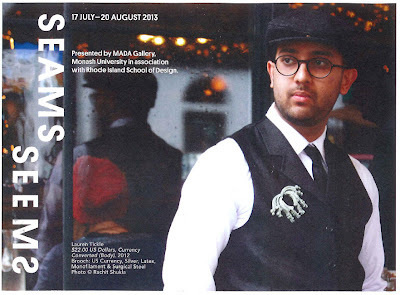 The exhibition brings together twenty makers from MADA and RISD, curated by Marian Hosking and Robin Quigley. Opening night is Friday the 19th at 6pm, following the symposium.